Author: Suzanne Mulcahy Ph.D Project Manager and Contributing Editor: Paul Zoubkov Project Coordinator: Helen Turek Communication Coordinator: Julie Anne Miranda-Brobeck Design: Kerstin Deinert ISBN: 978-3-943497-80-9 ÂŠ 2015 Transparency International. All rights reserved. Printed on 100% recycled paper. ÂŠ Cover photo: Istockphoto/mediaphotos Every effort has been made to verify the accuracy of the information contained in this report. All information was believed to be correct as of March 2015. Nevertheless, Transparency International cannot accept responsibility for the consequences of its use for other purposes or in other contexts. This project has been funded with support from the European Commission. This publication reflects the views only of the authors, and the European Commission cannot be held responsible for any use which may be made of the information contained therein. RESULTS OVERVIEW How strong are safeguards against undue influence and rules to promote ethical lobbying in European political systems? have a dedicated lobbying regulation (Austria, France, Ireland, Lithuania, Poland, Slovenia and the United Kingdom). EXECUTIVE SUMMARY Lobbying is any direct or indirect communication with public officials, political decision-makers or representatives for the purposes of influencing public decision-making, and carried out by or on behalf of any organised group. 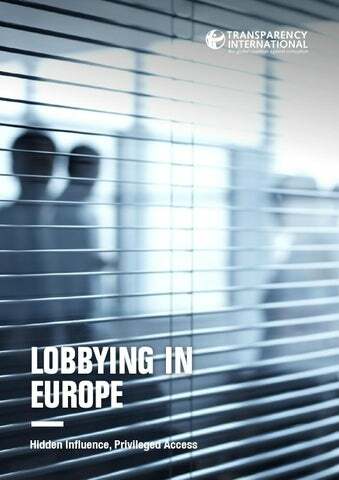 This report compiles the results of national level studies examining how lobbying manifests itself across Europe and the quality of responses by both governments and the EU institutions to the risks and realities of undue influence in public decision-making. It is the first time that such a holistic and comparable assessment has been carried out. A particular focus of the report is on reviewing the three critical and inter-related elements of effective lobbying regulation: firstly, whether interactions between lobbyists and public officials are made transparent and open to public scrutiny (transparency); secondly, whether there are clear and enforceable rules on ethical conduct for both lobbyists and public officials (integrity); and thirdly, how open is public decision-making to a plurality of voices representative of a wide range of interests (equality of access). Any serious effort to combat undue influence in politics must recognise that transparency measures must be accompanied by broader measures to strengthen public integrity and promote opportunities for access by a wide range of citizens to the political system. The overall results of the research give cause for concern and suggest that attempts to date to promote open and ethical lobbying standards by both governments and lobbyists have been piecemeal and ineffective. Much of the influence remains hidden and informal; there are serious conflicts of interest at play; and certain groups enjoy privileged access to decision-makers. The risks of undue influence remain high and, on occasion, this has resulted in drastic and far-reaching consequences for the economy, the environment, social cohesion, public safety, and human rights. Greater efforts by both the public sector and all those seeking to influence public decisions are urgently required to address the issue. 6 out of 10 European citizens consider their government to be seriously influenced or entirely ­co-opted by a few vested interests. external observers. At the more extreme end, this includes acting through front organisations or creating the semblance of public support through manipulated and/or purchased opinions (also known as “astroturfing”). A broad range of interest groups and their representatives are looking to inform and influence public decisionmaking, contributing to a generally dynamic democratic environment. A number of actors attempting to influence decisions, from the private, public, not-for-profit and legal fields, do not consider themselves to be lobbying as such, and the activity is frequently called by another name – advocacy, public affairs or interest representation. A notable portion of influencing efforts across the examined countries occur outside of any formal partici­ patory or consultative channels, drawing on informal relationships and a variety of social interactions. In a number of states as diverse as Ireland, Portugal or Hungary, this influence is deeply intertwined with familial, class or business interest structures, creating oppor­ tunities for a culture of patronage and insular elites. In most countries, lobbying as a stand-alone profession and consultancy service is still in its nascent stages. However, with the EU integration process increasingly making Brussels a hub of European policy-making, there is a growing professionalisation of the lobbying industry there. At national level, the system of sectoral representation and institutionalised partnerships with government is still present. However, a new pattern is emerging whereby the better resourced actors, in particular the larger corporate actors, are increasingly doing their own lobbying rather than relying on representation from business associations. The nexus between business and politics is growing ever stronger, creating serious conflicts of interest, and with it, the risk of regulatory and policy capture. Of particular concern is the practice of carrying out lobbying activities while holding office, as well as the postemployment “revolving door” between the public and the private sectors. Disproportionate and hidden political finance also plays a notable role. Slovenia is the only country that managed a score exceeding 50 per cent. place to systematically record contacts between lobbyists and policy-makers. Europe lags behind Canada and the United States in this regard. Of the 19 countries examined, only 7 have laws or regulations specifically regulating lobbying activities (Austria, France, Ireland, Lithuania, Poland, Slovenia and the United Kingdom). Many of the lobbying related laws and regulations that exist in Europe are, to varying degrees, flawed or unfit for purpose. There are also problems with weak implementation and lack of enforcement of existing rules. 1/19 Only one country – Slovenia – and the European Commission, manage a score exceeding 50 per cent. However, they too are faced with a range of problems including gaps in regulatory coverage, loopholes and poor implementation of rules. It is notable that the majority of countries at the centre of the financial crisis (Cyprus, Spain, Italy and Portugal)5 sit at the bottom of the table, together with Hungary. No less concerning is the performance of the Council of the EU, one of the most powerful institutions in Europe, which is third from last with a score of just 19 per cent (and sitting at a polar opposite from the European Commission in terms of the ranking). Citizens and interest groups have little opportunity to know who is influencing public decisions, on what issues and how. Few countries have any requirements on the public sector to record information about their contacts with lobbyists and lobbying interest groups. The information that is documented is frequently too narrow or sporadic, and often is not proactively released to the public. Although all countries except for Cyprus have access to information laws, in practice, citizens, media or other interest groups face practical hurdles in making a successful information request. The seven countries and the two EU institutions that have specific lobbying regulations have all opted for a register as the cornerstone of their approach, requiring lobbyist registration and, in most cases, a periodic reporting of activities. Lobby registers can be useful in allowing citizens to track influence in the political process if they are designed with comprehensive definitions (including all who seek to influence public decisions), if they are mandatory, and if they are coupled with meaningful oversight mechanisms. However, none of the existing registers examined by this report fulfil these criteria. It is important to note that even a comprehensive register of lobbyists is not a panacea to undue influence. It is only one measure among many others that are required to open decisions up to public scrutiny. Only Austria has a mandatory code of conduct for lobbyists in place. Neither lobbyists nor public officials are subject to clear and enforceable ethical rules regarding lobbying activity, which is particularly troubling given the low levels of transparency. Although most countries have introduced a public sector code of conduct, a number of countries are still missing a similar one for legislators. The codes of conduct that are in place are frequently incomplete and do not provide sufficient behavioural guidance on how to deal with lobbying third parties. Particular problems are present around conflicts of interest management, including the periodic disclosure of interests. Although the majority of states have some revolving door regulations requiring a ‘cooling-off’ period before former public officials can lobby their former colleagues, only one country, Slovenia, has instituted one for the legislators and even in this case it is not properly applied in practice. None of the 19 countries assessed was found to have effective monitoring and enforcement of the revolving door provisions. In terms of core ethical guidance for lobbyists, only one country (Austria) has a mandatory code of conduct and under Ireland’s recently adopted Regulation of Lobbying Act (2015) a regulator is authorised to issue the same; a few others have voluntary provisions. One positive finding is that in most countries there are some voluntary initiatives and attempts to self-regulate lobbying activities, including the promotion of codes of conduct. However, in most cases, these are limited to particular professional associations, which constitute only a fraction of those looking to influence public decision-making. The codes are also usually voluntary and often with insufficient detail and weak complaint mechanisms. Public participation is inadequately protected, and certain groups are able to enjoy privileged access to public decision-making. While a variety of public consultation mechanisms do exist across most countries, implementation is usually inconsistent across government, and in no cases are there comprehensive requirements to provide detailed explanations on which views were taken into account and why. A further significant concern is regarding lobbying from the inside through expert and advisory groups convened by the public sector. Only one country (Portugal) has a legal requirement to strive for a balanced composition of these bodies, and in most countries their operations remain opaque to the outside world. included in this report. A growing number of professional lobbyists and corporates are committing to higher ethical standards in their interactions with government, and are in fact supportive of reforms, recognising the moral imperative but also the benefits to reputation and the need for a level playing field. There have also been some promising developments in Brussels, and ongoing work on an international legal instrument on lobbying under the auspices of the Council of Europe. This overall trajectory is encouraging and to be applauded. However, for these efforts to be truly effective, a much more holistic approach to tackling the issue is essential. Unfortunately, many of the efforts to date have been too narrow in scope and do not take account of a broader framework of transparency, integrity and equality of access in lobbying (as well as the broader regulatory framework). Equally, a sense of urgency, leadership and political commitment is required to ensure that such measures do not stall at their deliberative stage (as so frequently was the case in the past), but are adopted, and more critically, enforced. Only then can public policy again serve the public good, citizens can recover their trust in govern­ ment, and the term “lobbying” can be associated with participatory democracy rather than corruption. Ensure information on lobbying activities is published and made easily accessible to the public. Ensure lobbying regulation is based on a set of broad definitions which capture all who engage in lobbying activities (including consultant lobbyists, in-house lobbyists, public affairs firms, NGOs, corporations, industry/professional associations, trade unions, think tanks, law firms, faith-based organisations, academics and pro-bono office holders of incorporated entities) and all key lobbying targets. Establish and strengthen existing registers of lobbyists by making them mandatory, requiring timely registration by lobbyists, recording detailed infor­ mation on who lobbyists represent, who they target, with which resources, with what purpose and using which supporting evidence.7 Ensure a “legislative footprint” is created for every legislative or policy proposal to ensure full transparency of decision-making processes. This would include tracking and publishing external input and contact between lobbyists and public officials. Create an ethical firewall between lobbyists and the public sector. Establish minimum ‘cooling-off’ periods before former public and elected officials can work in lobbying positions that may create conflicts of interest and create a permissions process from a designated ethics office before a lobbying-related appointment can be taken up by former public officials, former members of parliament, and former members of the executive (national and subnational levels). Amend existing codes of conduct for public officials to guarantee they include clear behavioural standards related to lobbying and how they should interact with interest groups. Introduce a statutory code of conduct for lobbyists laying out the core principles of ethical lobbying. Lobbyists must commit to carry out their work with integrity, in coherence with their Corporate Social Responsibility (CSR) policy, ensuring that information conveyed is factually accurate and honest and that they do not misrepresent their status or the nature of their communications. Promote diverse participation in public decision-making from individuals and groups with a range of perspectives. Approve legal requirements that allow citizens, interest groups and corporate bodies to equally input into legislative items under consideration. Introduce a legal requirement on public bodies to publish the results of consultation processes, including the views of participants in the consultation process. Make open all calls for applications to sit on advisory/expert groups and introduce selection criteria to ensure a balance of different interests. Ensure rules are enforced and that there are meaningful sanctions for unethical behaviour. Establish an adequately resourced independent oversight body to enforce rules regarding the transparency of lobbying activities and ethical conduct (post-employment, conflicts of interest, gifts and hospitality). RESEARCH FRAMEWORK AND METHODOLOGY This report brings together the findings of 19 national assessments carried out in 2014, examining the practice of lobbying and attempts to regulate it across Europe. The research framework was developed by Transparency International with reference to internationally recognised standards on the regulation of lobbying and prevention of undue influence. These standards include, amongst others, the OECD’s “10 Principles for Transparency and Integrity in Lobbying”8 and their 2014 progress report on the implementation of those principles,9 the Venice Commission’s Report on the Role of Extra-Institutional Actors in the Democratic System,10 Transparency International’s Open Governance Scorecard Standards,11 the Sunlight Foundation’s International Lobbying Disclosure Guidelines,12 and Access Info Europe’s Standards of Lobbying Disclosure.13 Using these standards as a starting point, a methodology consisting of 65 indicator questions was developed. The methodology was refined in consultation with several of the abovementioned organisations. The 65 indicators correspond to three core dimensions and 10 sub-dimensions, which are considered to be a comprehensive approach to lobbying regulation. The three core dimensions are transparency, integrity and equality of access. The extent of transparency indicates how open decision-making is and to what extent the public can access information on who is lobbying public officials and representatives, on what issues, when and how they are being lobbied, how much is being spent in the process, and what the results of these lobbying efforts are. The level of integrity demonstrates how effectively countries ensure ethical conduct among public officials, representatives and lobbyists. The degree of equality of access shows how well a system allows for a plurality of voices in public decisionmaking and the contribution of ideas and evidence by a broad range of interests. scored the 65 indicator questions.14 In order to assess the EU level rules and regulations, Transparency International’s Brussels-based EU liaison office applied the assessment element of the methodology to the European Commission, the European Parliament and the Council of the European Union. A three-point scale was used to score the indicators, with a minimum score of 0 and a maximum score of 2. In order to calculate the overall scores for the country/EU institution and for each of the three dimensions – transparency, integrity and equality of access – a simple aggregation was performed. Specifically, a total score (as a percentage) was calculated for 10 sub-dimensions. A simple un-weighted average was then calculated to provide a score for each of the three dimensions. Similarly, the overall country/EU institution score is an un-weighted average of these three dimensions. No differential weighting was applied to individual indicators, sub-dimensions or to the core dimensions. The scores were reviewed and validated at international level by the research team at the Transparency International Secretariat in order to ensure cross-country comparability. The resulting scores allow a comparison of attempts to promote open and ethical lobbying and of the quality of safeguards against undue influence at the national and EU levels. The regional analysis in this report draws mainly on the 19 national assessment findings and the EU level assessment. Additional secondary sources from Transparency International and other organisations were also drawn upon where relevant. THE LOBBYING LANDSCAPE IN EUROPE Many actors across Europe are engaged in lobbying activities, looking to influence and inform public decision-making, and in the process often competing or cooperating with each other. This diversity includes, but is not limited to, those with economic interests, professional interests and civil society interests. This chapter maps out how influence is wielded in politics across Europe, by whom, using which techniques and with what impact. How influence is brought to bear in a country’s political system varies across Europe and depends on many factors, including, amongst others, the degree of institutionalisation of lobbying within the system, the size of the country, the political culture and the maturity of the lobbying industry. With so many different organisations and individuals lobbying, it is inevitable that there is variation in the techniques used to influence, including how openly and ethically individuals and organisations behave. A vibrant lobbying scene A myriad of actors across Europe are engaged in lobbying activities, looking to influence and inform public decisionmaking, and in the process often competing or cooperating with each other. This diversity includes, but is not limited to, those with economic interests (such as companies and corporations), professional interests (such as trade and labour unions or representatives of professional societies) and civil society interests (such as environmental or religious groups).15 The overall variety of action and input by these groups is generally helpful to public decision-making, and it contributes to a largely dynamic democratic environment. Some actors who engage in lobbying activities do not consider themselves lobbyists as such – lawyers often fall into this category – and others use different names, such as public affairs or public relations consultants. Civil society groups and non-governmental organisations sometimes prefer to label their activities as “advocacy”, rather than “lobbying”. This is in part due to the negative connotations linked with the term “lobbyist” in many countries in Europe. In the pharmaceutical sector alone, conservative “official” estimates show €40 million spent on lobbying, while other more realistic estimates show €91 million. The persistence of informal influence Much lobbying across Europe takes place outside the formal channels and is invisible to the public eye. In small and medium-sized countries, lobbying patterns are tied in with familial, social and class networks. Elites in such contexts are inevitably close-knit and this allows for a culture of patronage and informal influence to flourish. Connections between family, friends and old school colleagues often determine who has the ear of the decision-maker and which decision will be taken. Several states demonstrate serious signs of crony capitalism and, in the case of Hungary, state capture.19 Most informal lobbying takes the form of direct communication and happens in social settings, such as receptions, golf clubs, airport lounges, parliament bars, corporate boxes at football stadiums and horseracing tracks. These forums have been described as the “anterooms of lobbying”,20 because while they may not provide an immediate opportunity for a meaningful dialogue, they are likely to trigger future and potentially substantive communication, which often eventually translates into influence. Regulation struggles to capture this type of lobbying because these communications and interactions are “by design” kept off the record. Growing professionalisation and diversification of the lobbying landscape Despite the persistence of informality, in most countries there is a growing professionalisation of lobbying, with lobbying and public affairs consultancies increasingly contracted to represent business and other third-party interests and to convince decision-makers on issues of interest to their clients. The clients of these professional lobbyists include companies, associations, public sector agencies and non-governmental organisations. Fragmentation of business interests Lobbying is often associated in the public mind with the representation of business interests. However, the cluster “business” encompasses many varied actors, with a broad range of interests and huge variation in terms of size, budget, scope of influence and lobbying behaviour. Traditionally, businesses channelled their influence through associations, which lobbied on their behalf. In countries with a corporatist tradition, spanning much of continental Europe, the participation of such associations along with other interest groups has historically been quasi-institutionalised within the decision-making processes. Associations continue to have importance in representing business interests in Europe, particularly for small and medium-sized enterprises, and, in some countries, they remain a primary channel for business to articulate their interests. In Lithuania, for example, it has been noted that several business associations even have assigned offices on public premises and are listed in the official contact list as “representatives to the Government”.25 However, companies are not relying on associations alone to represent their interests. Increasingly, lobbying is carried out by in-house lobbyists and directly by the senior management of companies. This is especially true of large corporations, which are not surprisingly among the most active lobbyists in Europe and often enjoy disproportionate access to key decision-makers. Sophistication of lobbying techniques Much lobbying takes the form of direct communication, either through public hearings during consultation processes, formal meetings with decision-makers, or by having a discrete word in the ear of a close contact. However, more sophisticated indirect lobbying techniques are also gaining traction in countries across Europe, some of which are questionable and give cause for concern. These include the mobilisation of the public through advert­isements, public relations campaigns, funding advocacy organisations or think-tanks, and the use of grassroots campaigns.30 The use of grassroots lobbying is particularly prevalent. Organisations instigate campaigns (online petitions, letters to the government or parliamentarians, public debates, leaflets, and demonstrations, amongst others) with the aim of pressuring politicians to listen. In its benign form, this type of citizen engagement can be empowering for citizens. However, this technique can also involve something more sinister when it takes the form of “astroturfing”, the controversial practice of lobbyists hiding behind front groups to give a semblance of grassroots popular support for a cause, which is in fact funded by private interests. The drafting of legal texts by lobbyists has caused controversy at the national level and at EU level.31 That lobbyists suggest amendments is not a problem per se, but when entire passages of lobbyists’ position papers are copy-pasted into laws, there is an obvious concern of disproportionate influence being brought to bear. This has led to calls for the publication of all submissions and supporting documentation by lobbyists on particular pieces of legislation. Astroturfing: A lobbying technique that lends legitimacy to concealed interests In 2012, the Department of Health in the UK published documentation revealing complaints that a lobby group largely financed by the tobacco industry had tried to fake signatures, thus overstating third-party support for their campaign against plain packaging regulation in the United Kingdom.32 The industry argued that some half a million people were opposed to the measure, evidenced by the signing of petitions, online forms and postcards/ letters delivered to the Department of Health. However it was later revealed that some of the expressions of support were faked. The “Hands Off Our Packs” campaign, run by the tobacco front group Forest and believed to be financed in large part by the tobacco industry, contracted an agency to recruit signature collectors, which then incentivised staff based on the number of signatures garnered.33 Forest subsequently admitted that a number of signatures had been falsified, but denied that this was encouraged or intentional and attributed blame to the individual signature collector.34 The recently adopted Regulation of Lobbying Act in Ireland has the potential to be the first national law in Europe to address astroturfing and make it more difficult for industries or others to conceal their interests behind such organisations, requiring them to disclose their indirect lobbying efforts. Private/public sector nexus Most lobbying discourse assumes a separation of public institutions and officials on the one hand, and lobbying interests on the other. However, this is not necessarily the case. The emergence of private-public partnerships, the outsourcing of public services, secondments into the public sector, and the use of advisory bodies all carry the risk of lobbying from the “inside”, with private actors having access to potentially privileged information and performing dual functions. Conversely a range of scandals throughout Europe also demonstrate the potential of unaddressed conflicts of interest on the part of public officials and representatives. Various cases examined in the course of this research include instances of public officials advising on or conducting lobbying activities while in office; concealed private interests in the course of public decision-making; and the influence of disproportionate and hidden political finance. A particularly acute problem, and the threat to integrity most commonly cited by lobbyists,35 is the revolving door between the political world and the lobbying world. Although the exchange of expertise between the public and private sector can be positive, the situation can also present serious post- and pre-employment conflicts of interest, with the potential of regulatory and institutional capture. Examples of risky revolving door practices between business and politics abound in almost every European country examined, revealing this to be a widespread problem with ineffective oversight. The absence of rules, or in some cases their poor enforcement, allows risks of abuse of power and misuse of office or former office. Financial lobbyists continue to be among the most powerful lobbies in Europe. At the EU level, for example, spending by financial lobbyists dwarfs that of many other sectors. A recent report by Corporate Europe Observatory (CEO) estimated that the financial sector spends €120 million per year on lobbying in Brussels and employs more than 1,700 lobbyists. Their report involved investigative research, uncovering and analysing data which is not easily accessible to the average citizen, indicating the opacity of much lobbying activity in this sector. CEO estimated that the financial industry lobbied the postcrisis EU regulation through over 700 organisations and outnumbered civil society organisations and trade unions by a factor of more than seven.45 At the national level too, the scale and effectiveness of the financial lobby is evident. In France, in 2013, the law of separation and regulation of banking activities was diluted significantly following intense lobbying by the sector. The final text fell far short of the original draft, which had been heralded as ambitious and would have gone a long way to creating a stronger barrier between banks’ investment and trading activities, on the one hand, and commercial banking activities, on the other, thus protecting ordinary consumers if banks performed poorly on the financial markets. The law, as it was eventually passed, has been criticised as “of minimal impact” and “essentially cosmetic”.46 Close links between the financial sector and the Treasury, including the pattern of many former Treasury officials moving directly into lucrative jobs in the private banking sector, have been seen as a major factor contributing to the weakening of the law.47 Until recently, the vast majority of the large banks were not registered in the voluntary EU Transparency Register, although they were lobbying vigorously in Brussels. The announcement by the new Juncker Commission in November 2014 that they would in the future only meet registered lobbyists prompted a flurry of registrations, including from the large banks.48 Perhaps even more important is the need for the public interest to be more clearly reflected in financial sector decision-making. This can only be achieved by requiring balance in advisory and expert groups to ensure they are not dominated by industry and by broadening consultation mechanisms on public policy to encourage participation from non-financial industry stakeholders. Regulatory capture and the pharmaceutical lobby in France49 Mediator was a drug marketed to overweight diabetics, but also often prescribed to healthy women as an appetite suppressant when they wanted to lose weight. It became the subject of a major scandal when it was allowed to stay on the market in France until 2009, despite increasing evidence of suspected public health risks with the drug and despite the fact that it had been withdrawn from the market in Spain and Italy in 2004. Conservative estimates suggest that the delay in withdrawing the drug resulted in the deaths of 220–300 people, but other studies have put the death toll at 1,300.50 Thousands more complain of cardiovascular complications that have limited their daily lives.51 The case sparked a furore about the lobbying power of pharmaceutical companies in France. The official report cited “pressure” exerted by the company behind the drug, Servier, which had reportedly lobbied policy-makers and health experts to keep Mediator on the market and have it recognised as an anti-diabetes drug.52 A trial to determine whether the company misled patients and authorities about the drug was postponed in 2013 and is expected to start in 2015. The company has assured all those who suffered due to the drug will be compensated, but denied the allegations of wrongdoing.53 There have been suggestions that conflicts of interest contributed to the regulator acting too slowly, and favouring the interests of the company over the public interest.54 After the scandal, according to Le Figaro, Servier also reportedly tried to influence elected officials to minimise its responsibility in the scandal by seeking to change the conclusions of the Senate’s fact-finding report,55 and softening the reform initiated in the wake of the scandal.56 The reform of the regulator was passed, but with some loopholes including inadequate regulation of gifts and hospitality. Another sector of intense lobbying is the pharmaceutical sector (see Focus on Pharmaceuticals section). In France, aggressive lobbying of regulators by pharmaceutical companies has been linked to a notorious case of a drug with suspected health risks being allowed to stay on the market allegedly resulting in hundreds, possibly thousands, of avoidable deaths. However, in this and other sectors, there were also examples of lobbying by companies and organisations with positive social impacts. In Italy, for example, a group of small pharmaceutical manufacturing companies carried out a lobbying campaign to have what are known as “orphan drugs” excluded from a ruling regarding hospital expenditures. Orphan drugs are used to treat rare diseases and typically earn meagre profits for drug companies. Their inclusion in the general ruling applying to all drugs would have made them economically unsustainable and therefore unavailable to patients who needed them. Lobbying transparently and using a solid evidence-base and the power of persuasion, this modest group of small manufacturing industries succeeded in its campaign to save the orphan drugs, showing the potential of lobbying to have positive social impact.57 Such cases remind us that lobbying itself is not the problem; instead it is opacity, unethical conduct and unfair access to public decision-makers. and the lobbying community.59 At national, regional and international levels, there is a growing recognition of the need to promote “responsible”, “ethical” and “open” lobbying.60 Perhaps surprisingly, lobbyists also tend to welcome minimum standards for lobbying. According to a survey carried out by Burson Marsteller in 2013, 55 per cent of professional lobbyists agreed, and 24 per cent strongly agreed, that greater transparency in lobbying would help to reduce the actual or perceived problems of influence peddling by lobbyists.61 Likewise, 70 per cent of lobbyists surveyed by the OECD in 2014 agreed that transparency should be mandatory for all in the profession.62 Experience shows, however, that regulating lobbying poses significant challenges and reformers face reluctance from various quarters with opponents citing, amongst other concerns, fears of administrative overload. Achieving effective regulation requires striking a balance without creating an onerous bureaucratic burden for lobbyists and decision-makers. The process must start with consensus building across all affected groups including business people, politicians, public administrations and civil society. In many countries reform will necessitate a major shift of political culture. Notwithstanding these challenges, adequate regulation is without doubt a crucial element to tackling undue influence in politics. LOBBYING REGULATION IN EUROPE The average score for the quality of lobbying regulation in European countries and institutions is just 31 per cent, indicating that most are substantially ill-equipped to deal with the issue of undue influence. There is a growing awareness across Europe that un­controlled lobbying has serious consequences, ultimately allowing the distortion and co-option of public power through undue influence. In this chapter, there is a comparison of European countries’ attempts to tackle it, mainly through different forms of regulation. The results offer a sobering picture of lobbying control in Europe. The response by both governments and organisations has been wholly insufficient and not nearly far-reaching enough to detect and prevent undue influence and promote a culture of ethical lobbying. Overall, European countries perform poorly when measured against international standards and best practice in lobbying regulation.63 Of the 19 countries and the EU institutions assessed, the average score for the quality of the regulatory system is just 31 per cent, indicating that most are substantially ill-equipped to deal with the issue of undue influence. This assessment measured not only whether there was a lobbying registration system in place, but comprised a comprehensive assessment of broader public sector transparency, the existence of integrity mechanisms to prevent unethical behaviour and the degree to which political systems are accessible to a plurality of voices. Across all three categories of transparency, integrity and equality of access the results were poor, with regional averages for the categories ranging from 26 per cent for transparency to 33 per cent for integrity and equality of access. Of the 19 countries studied, no country came close to having the ideal safeguards to detect and deter undue influence; nor did they have adequate measures in place to promote open and ethical lobbying. Only one country, Slovenia, and one EU institution, the European Commission, achieved a score above 50 per cent, thanks to their fairly robust transparency and integrity measures. However, these too fall short in terms of their regulatory coverage, the extent of implementation, and the quality of monitoring and enforcement.64 The vast majority of countries have no regulation of lobbying whatsoever and no process to systematically register contacts between lobbyists and policy-makers. Europe lags behind the United States and Canada in this regard.65 Of the 19 countries examined, only seven have laws or regulations specifically regulating lobbying (Austria, France, Ireland, Lithuania, Poland, Slovenia and the United Kingdom). The research also suggests that the laws and regulations that do exist across Europe are, to varying degrees, flawed or unfit for purpose and there are also serious problems with implementation and enforcement of rules. Self-regulation by lobbyists themselves has not been sufficiently developed either. Lobbyist associations have an important role to play in promoting good practice through awareness raising, training and providing ethical guidance to those seeking to influence policy. The study found some examples of companies’ own efforts to lobby responsibly and transparently, but these remain very much the exception rather than the rule. No country came close to having the ideal safeguards to detect and deter undue influence. It is striking that the average score for the EU institutions – with their significant power and impact throughout Europe – is only 36 per cent. Most concerning, is the performance of the Council of the EU, which received less than a fifth of the possible marks. Also of note is that the larger EU member states – France, Germany, Italy and Spain, and to a lesser extent, the United Kingdom – all perform particularly badly when it comes to lobbying regulation. These are powerful players at the European level, and the decisions made in their capitals have the potential to affect all EU citizens. Occupying the bottom of the table are Cyprus and Hungary. In Cyprus, a discussion on lobbying regulation is virtually non-existent and citizens have one of the highest rates of perception of state capture across the EU.66 In Hungary, there was a poorly designed lobbying law in the past, and the country has recently seen a systematic dismantling of oversight institutions, threatening the fundamentals of the democratic state. The overall picture emerging from the research suggests that even reforming countries have not taken a holistic view of the issue of undue influence. This is exemplified by the fact that the most popular regulatory tool is the lobby register. Installing a registration system for lobbyists in an effort to increase transparency will not promote meaningful change unless it is accompanied by a broader framework promoting integrity among lobbyists and public sector employees, as well as concerted efforts to equalise opportunities of access to political decisionmakers. Following the money: The link between lobbying and political financing Lobbying is but one of many forms of political activity and attempts to regulate it without tackling the parallel issue of political finance are likely to be unsuccessful. The prime example is the United States, where corporate money and political influence remain inextricably linked despite concerted efforts to regulate lobbyists. If corporate donations, for example, are not capped and/ or if the system is so opaque that citizens do not know who is behind donations to parties and candidates, then money can buy access and influence. In some European countries, political financing is considered relatively well regulated. In France, for example, while legislation in this area is not perfect, corporate donations are banned and the financing of political activities by private economic interests is not a major avenue for the exercise of undue influence. Recent years have seen some notable improvements in the legal framework regulating political finance, including in Bulgaria (2011), Cyprus (2012), Estonia (2014), France (2013), Ireland (2012), Italy (2014), Lithuania (2012), Slovakia (2014) and Spain (2012).67 However, a number of countries still suffer from substantial loopholes in their regulatory frameworks. In the UK, for example, where there is no cap on donations in place, there are serious concerns that a handful of wealthy individuals and organisations may be able to exert influence by making large donations: £250m of the £432m donated to political parties between 2001 and mid-2010 was from single donations of more than £100,000 made by individuals, companies or trade unions.68 In a number of countries, indirect and in-kind contributions also provide loopholes for exerting influence: Sponsorships and donations (Cyprus), political fundraising events (UK), debt forgiveness (Spain) and the use of front organisations (Lithuania, Portugal, Slovenia) are being used to bypass the safeguards set up against undue influence, dependency and privilege in politics. In addition, in a number of European countries, including Bulgaria, Cyprus and Hungary, the regulatory framework is undermined by a non-existent or ill-functioning enforcement culture. Parties, politicians and contributors break the rules without fear of consequences, contributing to a culture of impunity around political financing and influence. 1 TRANSPARENCY A regional average score of 26 per cent reveals a low level of transparency around lobbying in particular, and public decisionmaking more broadly. A regional average score of 26 per cent reveals a low level of transparency around lobbying in particular, and public decision-making more broadly. While general access to information (understood as the existence and functioning of a freedom of information regime) comes out as the strongest aspect of the transparency landscape, more specific issues, such as registration and disclosure by lobbyists and oversight, as well as the existence of legislative footprints which allow citizens to know who has influenced the passage of a law, are revealed to be weak or non-existent across the region. Access to information: A prerequisite for transparency of decision-making Lobbying transparency via freedom of information When it comes to ensuring transparency, it should be expected that all European countries at a minimum have comprehensive and functioning access to information laws. These laws should empower citizens to find out what happens in their public institutions, including how decisions are made. This is essential for citizen and media oversight of decision-making, even if the data acquired is post factum, and thus comes too late to alter decisions that have already been made. The public has a right to know who is in the room contributing ideas and trying to convince decision-makers on matters of public interest. In most European countries, citizens face obstacles in exercising that right and the public does not have sufficient knowledge of who is trying to influence whom, when, where, how and on what issues, how much is being spent in the process or the results of these lobbying efforts. How robust are lobbying transparency mechanisms in European countries and EU institutions? Scale 0-100, where 0 is the weakest and 100 is strongest. Overall score based on an un-weighted average of results in four sub-categories. Results are presented in descending order with highest scoring country/EU institution appearing first. Are legislators required by law to publish aÂ legislative footprint including details of the time, person and subject of contacts with stakeholders, and do they do so in practice? Only Latvia and Poland have a variation of a legislative footprint obligation written in law. Only two countries of the 19 examined, Latvia and Poland, have a variation of a legislative footprint obligation written in law. In Latvia, any draft law that comes before the Latvian parliament should enclose an explanatory note, in which, among other things, all consultations that have been held while preparing the draft law should be specified.73 In principle, this explanatory note should also indicate the lobbyists with whom the submitter of the draft law has consulted, but the footprint does not function as intended in practice, because institutions do not follow the rules and there is no oversight or verification system in place to compel them to do so or to penalise them for non-compliance.74 In Poland, the act on lobbying compels ministries to publish all documents related to the drafting of particular legal acts. Those interested in a piece of legislation, including professional lobbyists, must provide relevant ministries with declarations describing the interest that they are planning to defend or promote during their work. Those declarations are also made public. A number of countries have taken a more piecemeal approach, requiring the publication of some level of documentation, providing a mini-footprint related to decision-making by public officials.75 In France, the authors of parliamentary reports in the National Assembly must annex a list of persons consulted. However, this obligation does not apply to other institutions that participate in the decision-making process. Therefore, while there are requirements for tracking the consulted interests groups at the Assembly level, the potential of the measure is not used to the fullest since it fails to provide an exhaustive list of all consulted interest groups at the final stage of legislation. Legislative footprints absent or poorly implemented An important step to move closer to the ideal of proactive disclosure by default is to implement a legislative footprint; a document that would detail the time, person and subject of a decision-maker’s contact with stakeholders, and include any supporting materials provided by lobbyists in the course of legislative development. Such a footprint would give a picture of the interests mobilised by a decision-making process and thus help the public, the media and anyone interested to scrutinise legislative work.72 It would also help address the issue of disproportionate influence by providing an incentive for policy-makers to seek out a balanced representation of views in their decision-making processes. The legislative footprint should ideally be a “live” document, updated in close to real time, but an obligation to publish such a list as an annex to legislative reports would be a good start. How comprehensive are definitions of lobbyists, lobbying targets, lobbying activities in national and EU lobbying regulations? To what extent does the law clearly and unambiguously define “lobbyists”? Countries/institutions included in the table are those with lobbying regulation in place. They are presented in descending order from those with strongest definitions to weakest. To what extent does the law/regulation define “lobbying targets”? To what extent is the term “lobbying”/“lobbying activities” clearly and unambiguously defined? 10 countries have some form of lobby register in place. Lobby registers: An effective accountability tool or mere window-dressing? Lobby registers are fast becoming the most popular transparency tool in the field of lobbying. Of the 19 countries studied, 10 have some form of lobby register in place. These vary from mandatory registers at the national level (Austria, Ireland, Lithuania, Poland, Slovenia, the United Kingdom) to voluntary registers applying to select institutions (National Assembly and Senate in France, the Netherlands, EU Transparency Register) or registers which target institutions at a sub-national level (Tuscany, Molise and Abruzzo, Italy and Catalonia, Spain). Scale 0-100, where 0 is the weakest and 100 is strongest.Overall register score based on an un-weighted average of results of two sub-categories, for countries that have a registration system in place. Results are presented in descending order with highest scoring country/EU institution appearing first. Only in Lithuania is the oversight body required to publicly disclose the names of all individuals or organisations found to have violated lobbying rules or regulations. capacity hampers the oversight agency in Slovenia as well as lobbying not being a priority issue for the agency. In Austria, Poland and the United Kingdom, capacity problems extend beyond inadequate human and financial resources to a lack of teeth in terms of investigative and punitive powers. The verdict on lobbying transparency Overall, the findings suggest that transparency around lobbying is far too weak across Europe. Without the means to know who is influencing public decisions, it is little wonder that the public assumes that a cosy elite take decisions without balanced input, decisions that ultimately affect their health, their pensions, their social services and their future. Governments have gravitated towards the idea of a lobby register as a quick-fix solution to regulating lobbying and shining a light on the influence industry. However, lobby registers are not a panacea to undue influence, and they must be carefully designed and properly implemented with meaningful oversight in order to make a difference. In addition, a register of lobbyists somehow assumes that it is lobbyists that are the problem. This is not necessarily the case. Governments must put much more emphasis on pro-active transparency by public institutions, placing the primary onus for transparency on public officials and representatives; those who exercise public power and are ultimately accountable to the citizenry. SPAIN, BRUSSELS In Brussels, a growing number of MEPs are leading the charge on transparency by publishing regular diaries, meetings agendas and/or “lobby lists” including Michèle Rivasi,85 Reinhard Buetikofer,86 Heidi Hautala87 and Richard Corbett.88 Also of note is the recent practice by current MEP Julia Reda, who is rapporteur for reviewing the 2001 EU Copyright Directive. Reda publishes an online accountability report including a detailed list and analysis of all lobbying meetings requested and taken by her in the course of conducting the work.89 Although such initiatives are still rare, they demonstrate the potential of proactive transparency and the practical channels and tools to deliver on the promise of public accountability. IRELAND secretaries general and assistant secretaries in the civil service and equivalent grades in local authorities. At central government this means that only communications with the top tier of staff – some 240 people in total – will have to be detailed in the lobby register. However, the law allows the minister to include other public servants or office holders in the definition of the lobbied if this is in the public interest. The specific matters on which lobbyists must file returns are communications with lobbying targets in relation to: initiation, development or modification of any public policy or programme, preparation of legislation, or award of any grant, loan, contract, etc. However, this definition excludes matters which relate only to the implementation of any such policy, programme, legislation, award, etc., or matters of a “technical nature”. One significant aspect of the new law is its definition of communications as including oral or written communications, which are made personally either directly or indirectly, thus giving it the potential to capture “astroturfing” by those seeking to influence. As for the register itself, it will contain basic information including the name, business address and contact details of the lobbyists; the names and organisations of the lobbying targets; the subject of the lobbying communications and the results they were intended to secure; and the extent and type of lobbying activities. It falls short of requiring the publication of supporting documentation submitted by lobbyists to policy-makers, a measure which would strengthen the law significantly. SLOVENIA lose their lobbyist status if they report false data, or if they are sentenced to more than 6 months in prison for an intentionally committed criminal offence in the Republic of Slovenia. The CPC can also fine those acting as professional lobbyists without registering as such, to the tune of between €400 and €1,200. The interested organisations, on behalf of whom the lobbyist has unlawfully lobbied, can also be held responsible for lobbyist violations and be fined by the CPC up to €100,000. The same penalty is predicated for an interest organisation that consciously employs a non-registered lobbyist.93 Formally, the measures of supervision, scrutiny and sanctioning in the field of lobbying and other related influences are clear and very well organised. The CPC has wide jurisdiction and the ability to act proactively in its supervisory and punitive roles. In practice, these measures and the possibilities the CPC has are not fully exercised due to insufficient staff and other resources, as well as lobbying being deprioritised as an issue, indicating insufficient political will to tackle undue influence. It is worth noting that the CPC does not have a dedicated employee working on the issue of lobbying. 2 INTEGRITY With a regional average score of 33 per cent for integrity, it is clear that standards written in law and ethical conduct in practice are falling far short of what is needed to protect the system from being captured by the interests of a few influential individuals and organisations. Transparency is a means to an end – it shines a light on those in positions of responsibility, thus promoting ethical behaviour and deterring undue influence in the exercise of public power and in business conduct. However, transparency measures must be embedded within a broader integrity framework that provides clear behavioural standards for politicians and public officials and those seeking to influence them. For public decision-makers, such an integrity framework requires clear expectations of impartiality and fidelity to public interest; practical guidance on how to deal with gifts and hospitality, handling of official information, and communication with third parties; as well as a robust system of conflicts of interest management, including periodic disclosure of interests, rules regarding incompatibility of simultaneously acting as a lobbyist while in office, and control of the revolving doors between the public and the private sectors. On the lobbying side too, ethical conduct is key. This should entail being open about one’s identity and interests pursued; providing honest, reliable and upto-date information; respecting institutional rules and avoiding improper influence (particularly inducements); preventing actual or perceived conflicts of interest; not lobbying contrary to one’s institutional commitments, including corporate social responsibility (CSR) policies; and proactively publishing information about lobbying positions and activities, particularly if there is no national system of reporting. Weaknesses in the integrity infrastructure can be addressed through a combination of regulations, robust and enforceable codes of conduct, and the promotion of good practice from within the lobbying interest groups. With a regional average score of 33 per cent for integrity, it is clear that standards written in law and ethical conduct in practice are falling far short of what is needed to protect the system from being captured by the interests of a few influential individuals and organisations. How robust are integrity mechanisms designed to promote ethical lobbying among lobbyists and decision-makers in European countries and EU institutions? In 4 out of the 19 European countries studied there are no measures to regulate the revolving door between the public sector and the lobbying world. Only in Slovenia are MPs supposed to abide by cooling-off periods before moving into positions that may create conflicts of interest. adequate oversight of revolving door rules. The risks are high when it comes to the revolving door and the research shows that the importance of mitigating them has not been sufficiently recognised by the political leadership in European countries. Codes of conduct: Regulating behaviour of lobbying targets and lobbyists While public sector codes of conduct are fairly common across Europe, a number of EU countries still lack codes of conduct for parliamentarians. Those missing codes for parliamentarians include Cyprus, the Czech Republic, Hungary, Italy, the Netherlands, Slovakia, Slovenia and Spain.97 Given that parliamentarians are a major lobbying target, the lack of clear rules guiding their behaviour as public representatives in general and how they deal with lobbyists in particular is of major concern. There are some relatively robust codes of conduct, for example in Austria, the Netherlands and the European Parliament. In Slovenia, officials’ conduct is fairly adequately regulated by law, including the reporting of lobbying contacts. Apart from the Slovenian case, none of the public sector codes of conduct examined explicitly and unambiguously specify standards on how public officials should conduct their communication with interest groups, nor do they specify a duty of documentation of contacts or a duty to report unregistered or unlawful lobbying to superiors. Overall public sector codes of conduct fail to provide clear guidance on what constitutes good lobbying and how public officials should conduct their communications with external individuals and groups. This is further compounded by inadequate training on and enforcement of the existing codes in most jurisdictions, as well as insufficient regulatory powers. In Cyprus and Ireland for example, the oversight agencies cannot initiate investigations without a complaint. Concerning ethical guidance for lobbyists, only two countries have statutory rules of conduct – Austria and Slovenia. Both lay out core behavioural principles, although Austria’s goes further and encourages lobbying organisations to adopt and publish additional measures. Non-legally binding codes exist in France, Lithuania, Slovenia and the EU institutions. There is also the promise of a statutory code of conduct in the UK Lobbying Act. The recently adopted Irish lobbying law foresees a by-law arrangement, empowering but not requiring the regulator to issue a compulsory code, and to amend it as necessary in consultation with the lobbying community. Overall, however, most countries have no requirements or guidance for organised interests to conduct their lobbying with certain ethical standards, and no recourse or sanction should inappropriate behaviour short of bribery or trading in influence take place. In the vast majority of countries (15 of the 19) self-regulatory codes of conduct have been drawn up by the lobbying industry. Building integrity from within: Business and lobbyist community reform efforts While the primary responsibility for acting with integrity rests with public officials and representatives, lobbyists and lobbying organisations must play their part by taking ethical lobbying seriously and showing themselves to be pioneers of integrity. There are many reasons for companies to lead the charge. Apart from any moral considerations, acting with integrity can help build a strong reputation, with both clients and investors, particularly at a time of low public confidence in the corporate sector. The Edelman Trust Barometer (2014), for example, found that, globally, only 1 in five people trust business leaders to make ethical and moral decisions98 – presenting a unique opportunity to lead by example. There is also strong evidence that ethical lobbying can allow for more effective engagement with public decision-makers,99 and in the long-run, it can build the reputation of lobbying as a profession and help to bring about a level playing field. Although international reporting frameworks appear to be growing in traction, none of them require a comprehensive account of the full public policy engagement of a company. 44/1 France’s new post-employment restrictions are a good start, but MPs should be covered too In France, the law requires a cooling-off period of three years between the end of a public service mandate and the transition to a company that the person was previously responsible for in terms of surveillance or control activities. This prohibition applies to all public officials, including cabinet ministers and advisers of the president. Since the establishment of the transparency law in 2013, this requirement also applies to members of government and key local authorities. The Public Service Ethics Commission and the High Authority for Transparency in Public Life are responsible for monitoring its implementation. FRANCE However, monitoring is complex in practice. Although these two institutions are independent, there is concern about the resources available to them in relation to the scope of their missions. For example, the Public Service Ethics Commission is responsible for all public officials, who numbered 5.5 million on 31 December 2012. In addition, the recommendations it issues oblige the administration only if there are indications of incompatibility. Further, the Committee has no control over the implementation in the case of recommendation with reservations – which represent, for example, nearly 42 per cent of the recommendations submitted to the State Civil Service.107 It should be emphasised that the required cooling-off period does not apply to MPs, who are a primary lobbying target, and is not explicitly intended to cover lobbying activities. 45/1 The United Kingdom’s professional lobbyist associations provide clear ethical guidance to lobbyists Both the Chartered Institute of Public Relations (CIPR) and the Association of Professional Political Consultants (APPC) have codes of conduct with which members are expected to comply. The CIPR has a membership of over 10,000 individual public relations and public affairs practitioners. The APPC has 80 public affairs consultancies as members, roughly accounting for over 85% by turnover of the UK’s public affairs industry.109 These codes include specific behavioural principles that steer lobbyists away from unethical situations, for example, requiring honesty and accuracy of information provided to public officials, requiring early disclosure to public officials of the identity of clients and interests being represented, urging members to refrain from using information obtained in violation of the law and to refrain from encouraging public officials to violate the law, and banning gifts above a certain minimum value, fees, employment or any other compensation from a lobbyist to a public official. own complaints mechanism: anyone can make a complaint, which is then addressed first by an independent adjudicator and then by a panel of three independent persons. The role of the independent adjudicator and panel members is outsourced to an external body, the Centre for Dispute Resolution (CEDR). The complainant must specify which aspect of the APPC Code of Conduct has been breached, provide evidence and agree to abide by the APPC rules for dealing with complaints. The APPC (through CEDR) convenes a panel as required responsible for disciplining members who breach the Code. The panel is empowered to warn or reprimand a member, or to require remedial action to minimise the risk of further breaches of the Code by the member. It can also suspend a member from the APPC, recommend that the APPC Management Committee expel the respondent from membership of the APPC, or require the member to issue an apology or retraction in such terms and to publish it in such a manner as the APPC Management Committee may direct. Decisions may be published and will always be published in the case of expulsion or suspension. The panel consists of three persons from outside the profession appointed by CEDR on the basis of their knowledge and reputation. However, ethics training is not a condition of membership. Moreover, although the UKPAC Code requires members to provide names of all clients, it does not distinguish between clients and “those paying for lobbying activities”, and does not require information on the specific subject matter lobbied. The UKPAC Code does not “prohibit” simultaneous employment as a lobbyist and a public official but regards it as “inappropriate”. 3 EQUALITY OF ACCESS With a regional average score of 33 per cent for equality of opportunities to participate in public decision-making, it is clear that consultation and public participation is not being taken seriously enough in European countries. Discussions about lobbying and how best to regulate it must take account of a crucial point: gaining influence requires access to decision-makers. If opportunities of access are skewed in favour of a privileged few, then all the transparency and integrity in the world will not make for a fair and pluralist political system. With a regional average score of 33 per cent for equality of opportunities to participate in public decision-making, it is clear that consultation and public participation is not being taken seriously enough in European countries. Democracy depends on the ability of all citizens to make their preferences known, but public officials and representatives “cannot consider voices they do not hear, and it is more difficult to pay attention to voices that speak softly”.110 Diverse participation and the contribution of ideas and evidence by a broad range of interests are necessary for the development of policies, laws, and decisions that best serve society and broad democratic interests. Any attempt to regulate lobbying must address this broader issue of equality of opportunities of access. There are various ways to promote the pluralism of voices, including amongst others, public consultation and engagement mechanisms and participation in expert or advisory groups that provide input on policies and laws. Do existing rules promote a plurality of voices in the political system? How inclusive are public consultation mechanisms and how robust are advisory group composition rules? Scale 0-100, where 0 is the weakest and 100 is strongest. Overall score based on an un-weighted average of results in two sub-categories.112 Results are presented in descending orderÂ with highest scoring country/EU institution appearing first. None of the countries studied have functioning mechanisms requiring policymakers to justify why and how various submissions have or have not been taken into account in final decisions. balanced composition is legally provided for in only 1 of the 19 countries assessed (Portugal). Among the worst offenders when it comes to not paying enough attention to ensuring balance are Cyprus, the Czech Republic, France, Germany, Hungary, Italy, Slovakia and Spain; all scoring just 10 per cent or less in an assessment of their measures to ensure balanced advisory groups. Furthermore, only in Lithuania and the United Kingdom are lobbyists prohibited from sitting on advisory groups in a personal capacity. In none of the countries studied are corporate executives prohibited from sitting on advisory groups in a personal capacity. This poses a major risk of concealed interests having undue influence in the policy process. Apart from the composition of these influential groups, it should also be possible for interested citizens to know about their agendas, what is discussed at their meetings and what are the positions of the various members. InÂ a number of countries (the Czech Republic, France, Germany, Italy, Latvia, Slovakia and Spain) none of this information is made available and these advisory groups are shrouded in a veil of secrecy. It may well be the case that they have nothing to hide but the lack of transparency inevitably breeds distrust. Consultation mechanisms exist on paper, but in practice they have too often become mere box-ticking exercises rather than meaningful platforms for broad democratic participation from a cross-section of society. Reforms of existing structures, such as how public consultations are run and how advisory groups are constituted, would be a good start to achieving a better balance in the representation of interests in public decision-making in Europe and ultimately achieving greater equality of access to public decision-making. e-consultation in Slovakia The Slovak Interdepartmental Comments Procedure and its accompanying Directive require that all official documents designated for government sessions have to be first published online for consultation. Any interested parties are allowed to comment including government ministries, public bodies, organised interests and the public at large. The standard period for consultation is 10-15 days, and in exceptional situations this may be shortened to five days. The comments can be submitted by email or through a dedicated online portal114 following compulsory registration. This portal is open to view, and compiles a range of information per item, as well as tracking the overall process of the initiative. This system has made the creation of legislation more open to the public, fostering participation and understanding of government decision-making and creating some safeguards against undue influence. It has also improved the communication between the ministries and other involved bodies. However, the comments portal is not very intuitive, the notifications are sometimes not well communicated and the submission periods are not always respected. Moreover, the proposals and amendments by members of parliament do not have to go through this process which creates a big window of opportunity for opaque influence. expressed jointly by at least 500 natural and/or legal persons. “Essential” comments that are subject of conflict and have been submitted through CC or by a government entity are subject to a special consultation/ dispute resolution process. All comments are responded to by the proposer of the legislative change, noting whether they are accepted, partially accepted, or declined, and why. Following the consultation procedure, the proposals are tabled for government discussion and from then on, if applicable, move to parliament. European Commission expert groups: Privileged access for a select few? When it comes to ensuring that a plurality of voices is heard by EU policy-makers, a key issue raised is the composition of European Commission expert groups. Alter-EU has documented corporate dominance at the expense of civil society and other interests’ involvement in many powerful expert groups at EU level. They found, for example, that in the Data Retention Experts Group as of 2013 all seven non-governmental members represented the interests of telecommunications corporations. They also found numerous examples of lobbyists sitting in a personal capacity in important expert groups, including those dealing with tax, intellectual property and finance issues. Calls for public participation in expert groups at EU level are uncommon and overall transparency in the selection process and their functioning is lacking.125 Acknowledging that this is a major problem at EU level, the European Ombudsman, Emily O’Reilly, recently opened an investigation into the composition and transparency of the European Commission’s expert groups. This is a good sign and maybe a step towards ensuring that those affected by decisions have a say in EU policy-making. to all professional lobbyists, companies and organisations, including NGOs, who seek to influence public policy. Foster a culture of integrity among companies and organisations seeking to influence public policy. Be aware of and comply with all the applicable laws, regulations, rules and codes of conduct concerning lobbying activities Register in all lobby registers in jurisdictions where lobbying is undertaken, including those that are voluntary. Establish internal policies and procedures for transparent and ethical conduct, and ensure these are integrated with organisation’s anti-corruption policies and corporate social responsibility commitments. Be proactively transparent about the organisation’s lobbying and other forms of political engagement, including: • Policies, expenditure and individuals lobbying on the organisation’s behalf • Political contributions and activities • Positions papers and supplementary documents presented in support of lobbying efforts • Indirect political involvement including funding and support for civil society organisations, scientific research and public relations Ensure all lobbying efforts, political activities and spending are reported as part of annual reporting and, specifically, as part of corporate social responsibility reporting. Ensure lobbying is carried out with integrity, that information conveyed is factually accurate and honest and that lobbyists do not misrepresent their status or the nature of their communications. Avoid potential conflicts of interest, actual or perceived undue influence, and respect the rules incumbent on public officials. Train the organisation’s employees and representatives on the above measures, and ensure they apply to any consultants and agents acting on the organisation’s behalf. ENDNOTES 1 See Chapter 2 for a full explanation of the scoring methodology. 2 National assessments were conducted in 2014 in Austria, Bulgaria, Cyprus, Czech Republic, Estonia, France, Germany, Hungary, Ireland, Italy, Latvia, Lithuania, the Netherlands, Poland, Portugal, Slovakia, Slovenia, Spain and the United Kingdom. The EU institutions reviewed are the European Commission, the European Parliament, and the Council of the EU. 3 Burson Marsteller, A Guide to Effective Lobbying in Europe: The View of Policymakers (London: Burson Marsteller, 2013). 4 Transparency International, Global Corruption Barometer 2013 ­(Berlin: Transparency International, 2013). 5 Greece was not in the cohort of countries reviewed for the current report. 6 See our more detailed set of recommendations targeted at national governments, EU institutions, lobbyists and civil society at the end of this report. 7 While exemptions for some small operations could be justifiable in certain cases, broadly speaking, registers should be inclusive of all lobbyists, and, with this in mind, administrative burden should be minimised. 8 The OECD Principles for Transparency and Integrity in Lobbying, available at: www.oecd.org/gov/fightingcorruptioninthepublicsector/ oecdprinciplesfortransparencyandintegrityinlobbying.htm 9 OECD, 2014. 10 Council of Europe, Report on the Role of Extra-Institutional Actors in the Democratic System (Lobbying) Adopted by the Venice Commission at its 94th Plenary Session (Venice, 8-9 March 2013) (Strasbourg: Council of Europe, 2013). 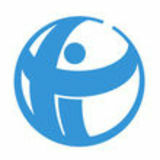 11 Transparency International, Open Governance Standards (Berlin: Transparency International, forthcoming). 12 Sunlight Foundation, 2013. 13 Access Info Europe, Lobbying Transparency via Right to Information Laws (Madrid: Access Info Europe, 2013). 14 The full methodology and research questionnaire online at www.transparency.org 15 The breakdown is borrowed from John Hogan, Raj Chari and Gary Murphy, “Lobbying Regulation Across Four Continents: Promoting Transparency?” APSA 2009 Toronto Meeting Paper, 2009. 16 Interviews with a representative of a professional association in Hungary, confirmed by an interview with a government public official. 17 See TI Ireland, Influence and Integrity: Lobbying and its Regulation in Ireland (Dublin: TI Ireland, 2014). 18 F. Galietti, Alta pressione (Venice: Marsilio, 2011). 19 See also Transparency International Hungary National Integrity System Assessment (Budapest: Transparency International Hungary, 2012), Bertelsmann Stiftung, Sustainable Governance Indicators: 2014 Hungary Report (Gütersloh: Bertelsmann Stiftung, 2014) and Mihály Fazekas and István János Tóth, “From corruption to state capture: A new analytical framework with empirical applications from Hungary” Working Paper Series: CRCB-WP/2014:01 (Corruption Research Center, Budapest, 2014). 20 TI Hungary, Lifting the Lid on Lobbying: National Report of Hungary (Budapest: TI Hungary, 2014), p.20. 21 For detailed discussion of this phenomenon, see for example Eric Lipton and Danny Hakim, “Lobbying Bonanza as Firms Try to Influence the European Union”, New York Times (web), 18 October 2013. 22 See EU Transparency Register statistics: http://ec.europa.eu/transparencyregister/public/consultation/statistics. do?locale=en&action=prepareView (accessed November 2014). 24 See for example “Commission gets Advice on Tax Policies from LuxLeaks Tax Dodgers”, Corporate Europe Observatory, 25 November 2014, http://corporateeurope.org/expert-groups/2014/11/commissiongets-advice-tax-policies-luxleaks-tax-dodgers 25 TI Lithuania, “Backstage Politics: Understanding lobbying in Lithuania” (Vilnius: TI Lithuania, 2015). 26 See for example “The Power of Lobbies”, Corporate Europe Observatory. http://corporateeurope.org/power-lobbies; and the EU Transparency Register statistics. 27 Health Action International (HAI) and Corporate Europe Observatory (CEO), Divide & Conquer: A Look behind the Scenes of the EU Pharmaceutical Industry Lobby’ (Amsterdam and Brussels: HAI and CEO, 2012). 28 “The Fire Power of the Financial Lobby: A Survey on the Size of the Financial Lobby at the EU Level”, Corporate Europe Observatory, 9 April 2014, http://corporateeurope.org/financial-lobby/2014/04/fire-powerfinancial-lobby 29 For example, both Greenpeace and Transparency International EU Liaison Office spend in the region of €1 million lobbying the EU institutions each year. See EU Transparency Register statistics. 30 Edward T. Walker and Christopher M. Rea, “The Political Mobilisation of Firms and Industries”, Annual Review of Sociology (web), 18 June 2014, pp.281–304. 31 Nikolaj Nielsen, “MEPs Copy-pasting Amendments from US Lobbyists”, EU Observer, 12 February 2013. 32 UK Department of Health, “FOI release – correspondence about the Government’s consultation on the packaging of tobacco products”, 13 September 2012, https://www.gov.uk/government/publications/dh-foirelease-correspondence-about-the-government-s-consultation-on-thepackaging-of-tobacco-products--2 33 Tamasin Cave and Andy Rowell, A Quiet Word: Lobbying, Crony Capitalism and Broken Politics in Britain (London: Bodley Head, 2014), pp.128-129; Jamie Doward, “Revealed: Tobacco Giant’s Secret Plans to see off Plain Cigarette Packets”, Observer, 27 July 2013. 34 See letter from Simon Clark, Forest Director to Department of Health published online here: https://www.gov.uk/government/uploads/ system/uploads/attachment_data/file/213681/FOI-734767-13.4.pdf 35 OECD, 2014, p.70. 36 See TI Portugal, The Influence Market in Portugal (Lisbon: TI Portugal, 2014). 37 “El Consejo de Europa crítica las puertas giratorias por las que los políticos fichan por grandes empresas”, Voz Populi, 15 January 2014. 38 El Confidencial, 11 April 2014. 39 J. Rodríguez, “Aznar: La reinvención de un president”, El País, Especial 2014, http://elpais.com/especiales/2014/aznar-la-reinvencionde-un-presidente/ 40 “Jack de Vries mag voorlopig nog niet lobbyen bij Defensie”, NRC,16 June 2011. 41 IMF Working Paper, 2009. 42 Eleni Tsingou,“Regulatory Reactions to the Global Credit Crisis: Analysing a Policy Community under Stress” (2010) cited in Johannes Petry, “Regulatory Capture, Civil Society & Global Finance in Derivative Regulation: An Analysis of Commodity Derivative Regulation in Europe”, ECPR Standing Group on Regulatory Governance, 5th Biennial Conference, 25-27 June 2014, Barcelona, Spain. 43 Jan Aart Scholte, “Civil Society and Financial Markets: What is not Happening and Why”, Journal of Civil Society, 9 (1), 2013, pp. 129-147; and Ranjit Lall, (2012) “From Failure to Failure: The Politics of International Banking Regulation”, Review of International Political Economy, 19 (4), 2012, pp.609-638, cited in Petry, 2014. 23 Maeve McClenaghan, “How ‘Big Four’ get Inside Track by Loaning Staff to Government”, Bureau of Investigative Journalism, 10 July 2012.
received in the consultations were refused. Though formally this law is in force, in practice this provision is not enforced and has always been totally disregarded. 112 In France, there are no experts groups in Parliament. Therefore the question of robustness of advisory groups applies only to other public institutions. In this case, the overall score for equality of access is calculated slightly differently from other countries. An average score for equality of access is first calculated for the Senate, the Assemblé Nationale and other public institutions and the overall score represents an aggregate of these three scores. CREATE CHANGE WITH US ENGAGE More and more people are joining the fight against corruption, and the discussion is growing. Stay informed and share your views on our website and blog, and social media. VOLUNTEER With an active presence in more than 100 countries around the world, we’re always looking for passionate volunteers to help us increase our impact. Check out our website for the contact details for your local organisation.